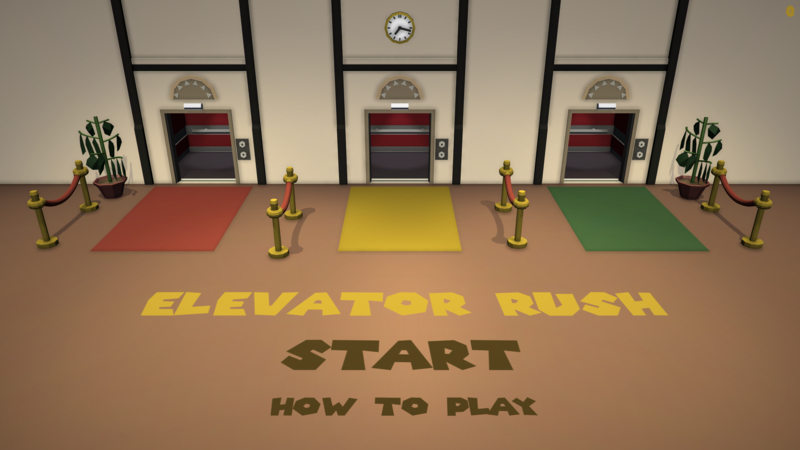 Elevator Rush | Hi there! 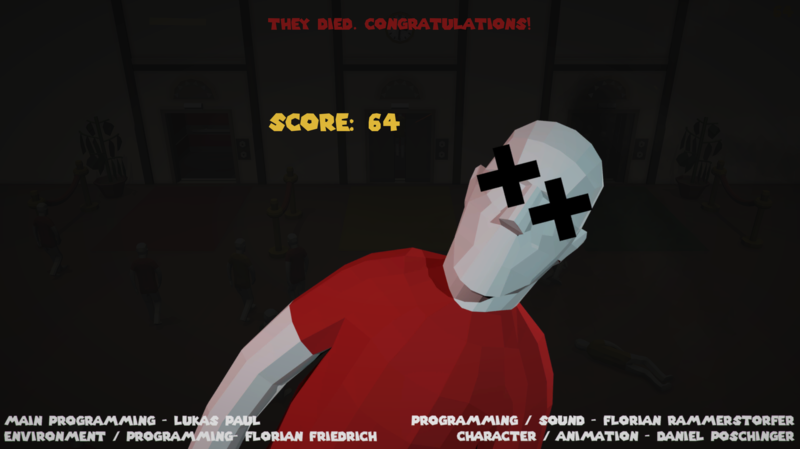 This game was created for the annual Game Jam in Hagenberg. We were given the theme “Divided we stand united we fall” and had 36 hours to build a working game. Your goal is to transport as many people as you can without letting them die. 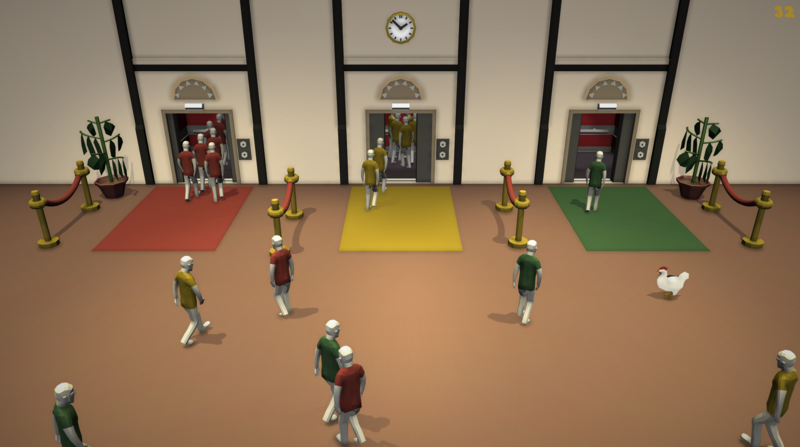 Hover over one person with the mouse and click 1, 2 or 3 on your keyboard to make them go to the elevator of your choice. But be careful! An elevator can only carry a maximum of 8 people. 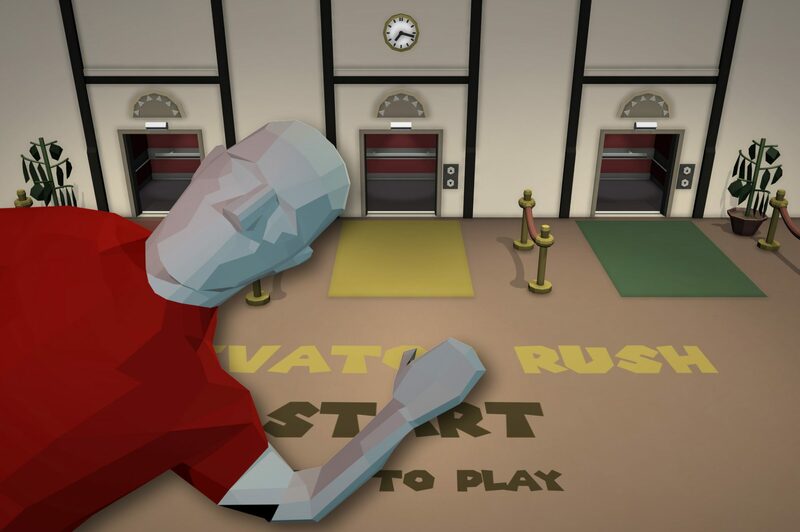 If you overfill an elevator it will crash (UNITED WE FALL). The game is lost when one elevator crashes. 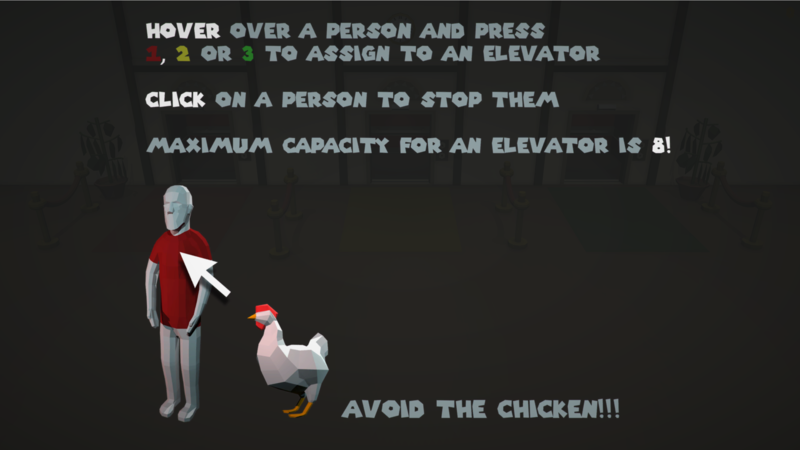 If you see a chicken, DON’T let them run into it! It will explode and kill people around it! 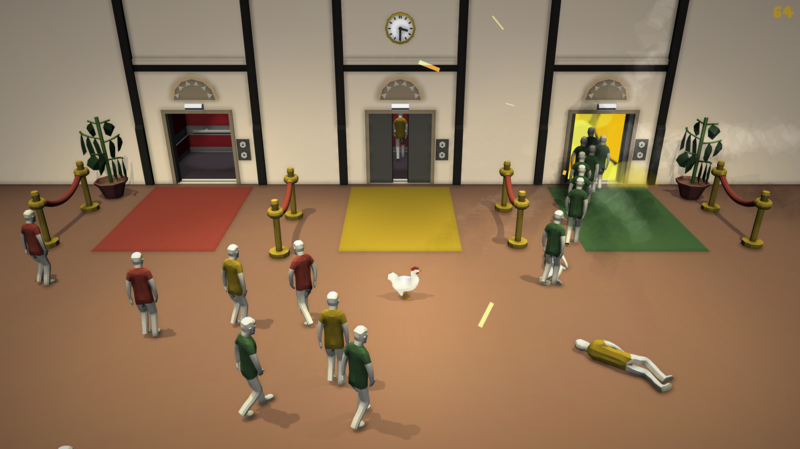 You can avoid the chickens by clicking on the people, making them stop for a few seconds. But be careful! A person can only handle two clicks. After the third click they will die.